The other day my kids were taking a bath when they started to paint the walls with soap and bubbles. I had the idea to make them some “paint” they could use instead. It was really simple to make, smelled great, and clean-up was a breeze. What you need: Shaving cream*, food coloring, plastic bowls or cups. 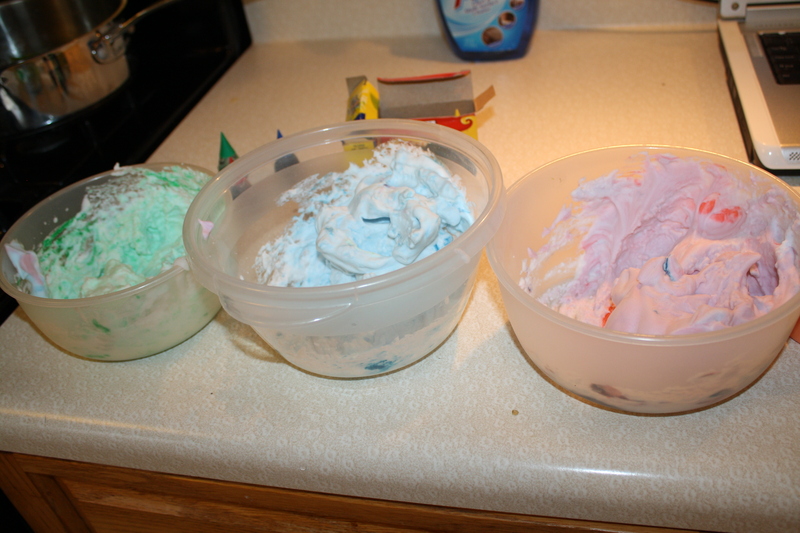 Squirt shaving cream in bowls, mix in colors, and paint! Really simple! *I think that foaming shaving cream would be your best bet but only had gel shaving cream so I kind of “whipped” it up with a spoon while I was mixing the colors. It worked fine so use what you’ve got handy. My kids painted for a really long time, and when it was time to get out of the tub they said, “That was really fun, can we do that again sometime?” In case you are worried about using food coloring in your bathroom, my tub, surrounding tile and grout are all white and the paint washed off easily with water. 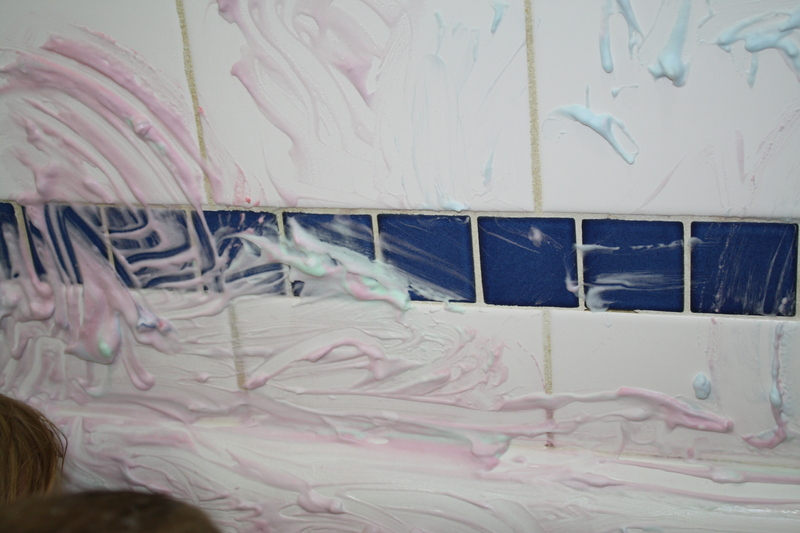 Shaving cream provides a great tactile, sensory activity. You can use it on tables (or cookie trays) to practice writing letters or numbers and it cleans off very easily. It is great to expose your children to different mediums and textures, it’s a great learning experience and lots of (messy) fun! Our Mommy Bloggers Take Center Stage! I smiled when i read this as we enjoy shaving cream regularly at our house and I have blogged about it, too. We also need to support our kids and keep them occupied.